Should Be Taught to Graphic Design Students. Lately I've been thinking... "What the heck am I doing here?" You see I've been teach an intro to graphic design course here at Indiana University and I've been trying to think a little differently. My distant past is in graphic design and in the more recent past (the last 6 years) my focus has been on "interaction and user-experience design" (IX/UX design) The past couple of years I've been intensely studying board games and how they are designed. It seems to me that board game design may provided a useful bridge for graphic designers to start thinking in terms of IX/UX design. With digital spaces growing in presence, sophistication and complexity so rapidly I believe that IX/UX design is the future. I believe that this is the future of graphic design. This is not to say that good old logo design or any of the other more traditional forms of graphic design hold not value. It's simply means that these more traditional forms should be considered in the context of our rapidly evolving digital spaces. 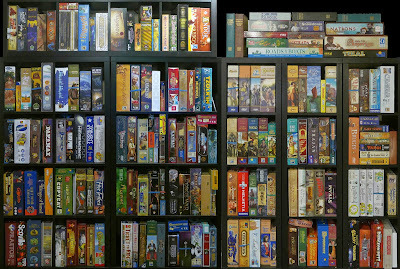 Towards that end I have been using board game design in my intro to graphic design course. I have done this not just by having them design a board game — though that is the central project of the course and is the primary thread throughout it's entire 15 weeks. Along the way I have had students do user-research, read and discuss topics like semiotics, affordances, thinking in systems, etc. The goal has been to help them understand the importance of considering context and culture with an eye toward interaction. 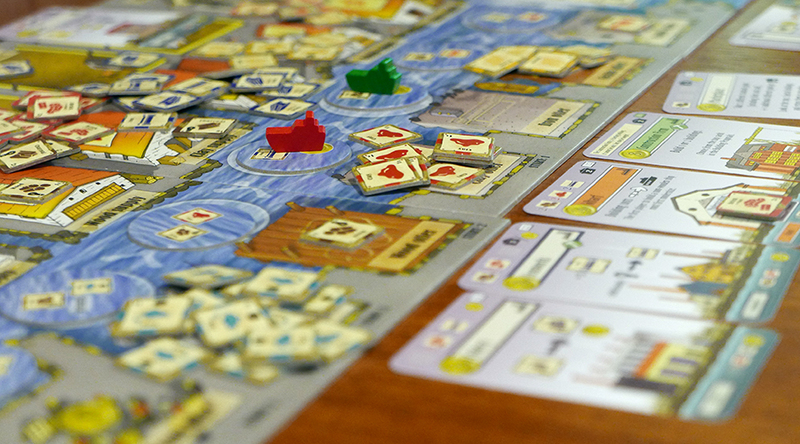 So, what's so special about board game design? Users — without players a game is just a tabletop decoration. Furthermore it is insanely important to try to understand the people who will play the game. Over it's lifespan the context and culture that a board game inhabits is largely about the people that share the space of the game. This is true whether the game is sitting on the shelf, set up for play or being played on the table. Rules — there must be some form of rules document and it needs to be good. Rules are the equivalent to the digital code of the game. A bad set of rules and/or a poorly designed rules document means that the game will crash. A good rules set means the game will run smoothly. This is perhaps an over simplification but I think it makes my point. 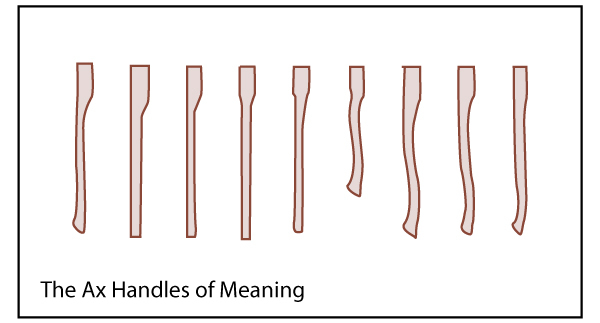 Signifiers and Affordances — the way that a game looks, it's graphic elements and physical bits mean something. As a designer you better be sure that these things mean the right things to the right people. These visual elements can go miles towards how a game feels and functions. These three categories provide a framework of experience for the game. Each needs to work in conjunction with the others for a game to provide an acceptable experience for the players (or potential players). Each of them mirrors important considerations for interactions that are designed for our digital spaces. Designing a board game provides students with an opportunity to use simple materials that are easily edited to create an interactive experience for users. In conjunction with a basic knowledge of form making and software -- Using paper, cardboard and other simple materials a student can rapidly prototype a game and easily make changes as problems and opportunities are discovered through playtesting. Graphic designers need to start thinking about design in terms of interaction and user-experience. And I propose that board game design can be a powerful bridge to help them do just that. for graphic designers who refuse to see the bigger picture. A few years back someone I respect very much said to me, "Gary you are a form maker." Later this person also told me that I was "facile." At the time I took these as a somewhat negative comments — though I am certain they weren't intended as as negative in any way. I want(ed) to be more than a form maker. In the context of these comments a form maker is good at creating visual designs and being facile means that I do it well and do it quickly. I like these things about myself and having someone I respect labeling me in these ways should be flattering. But, deep within I knew/know that being a good designer should run much deeper. "Thinking" like a designer, questioning like a design, exploring ideas like a designer -- all of these and more must underlie the "making." These are what I am trying to instill in the students I am teaching this semester. It's an "intro to graphic design" course in which I am trying to teach students that design process and design thinking will set them apart from other graphic designers when they move on to other endeavors. The form making will come with practice and is secondary to deeper processes and thinking. Towards those ends we have spent the first three weeks of the semester researching a site, it's people and their culture. Today in class a small mutiny reared it's ugly head. A couple of students spoke up saying things like, "In other studio classes we work differently — we don't like the structure of this course," and "we want to just focus on making pretty things." Other comments were made that they weren't really learning the things they feel are important. I can relate to these feelings and I feel them myself at times. But, the designer inside of me has deeper notions of what the priorities should be when approaching a design project. What happens when we teach design and focus exclusively or even primarily on form making? Look at the screenshot above — the large colored circles across the top represent phases in a design process. Where does form making enter the processes and how many of the phases focus on form making? If we were to take this chart at face value then we would believe that form making begins in the last third of the overall process and is not the exclusive feature of that last third. But a funny thing begins to become apparent when the rest of the website is explored — a great number of methods in all of the phases use some type of form making. Form making is not used just at the end of the process but is used throughout the process — it is "thinking through making" and the making is formal in nature. Methods in the "toolkit" include making diagrams, maps, storyboards, collages and other visual artifacts. Who better to be involved in these portions of the process than graphic designers? Most graphic design classes focus heavily (or even exclusively) on the last two circles. Why is this the case when a closer look at the methods in the earlier circles reveals that form making should be a part of the entire processes? Is it because we want to make pretty things even if they are less useful or less compelling? Why do novice graphic designers not want to be involved in the first four circles represented in this "Design Methods Toolkit?" My theory is this — graphic designers are addicted to the idea of the "final artifact." They long to complete that final beautiful thing. The way I had designed the course is that beginning at the end of next week they will begin working on some end goal artifacts. But, quite honestly today I am tempted to redesign the remainder of the course and have them generate designs that reside in the first four circles.These are four circles that may be hell for others but it's where I want to be — I will become the master there... yes... I will... Mwa ha ha ha ha!!! When new/novel mechanisms sometimes seem to spring seemingly from nowhere is there in reality a evolutionary string of roots that lead up to the birth of that mechanism? “1995 was the year of Klaus Teuber’s seminal game Settlers of Catan. I enjoyed Settlers but was not fond of the luck factors inherent in the dice rolling. I wanted to achieve the same effect but without the dice, just by placement of workers on the board. This became the central mechanic to the second ‘Key’ game Keydom, published in 1998, which is now recognized as the first worker placement game, as kindly acknowledged by Uwe Rosenberg... (Breese 2013)." 1) My interest is not in the mechanisms themselves but rather in the process — i.e. how a designer combines new/existing ideas to generate novel ones. 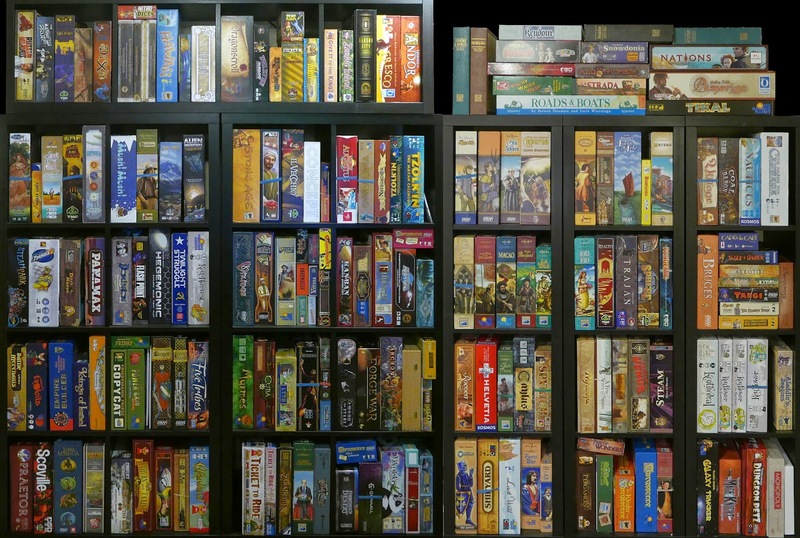 I do study the artifacts and experience of playing boardgames — but, only as they are a reflection or outcome of a design process. My focus is on board game designers but has also included other types of designers. 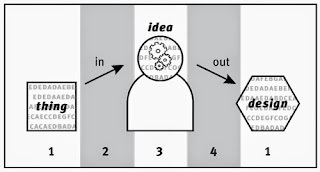 1) One mechanism may be a compilation/integration of other smaller mechanisms — e.g. drafting cards in various forms is a mechanism and may be incorporated as a sub-mechanism of deck building. 2) board game design is at it’s core the design of complex systems (and humans are an integral part of that system). As such, a study of boradgames, game designers and processes provides insights that may be of value or have equivalencies to IX/UX design. I use an anthropological toolset that includes interviews (audio/video recording as well as text based), participant observation, various types of fieldnotes and ethnographic video/photography. Keller, M. Odendahl, A. (2014). La Granga. Germany. Spielworxx. Friese, F. (2012). Copycat. Germany. 2F Spiele. I should be grading my student's project right now. But, I just can't bring my self to do it — so it will get done tomorrow (Sorry Omar). I've been thinking about a common problem amongst beginning and even mature designers — letting go of control and letting go of the notion of perfection. Until, you are able to get past these obstacles you will struggle as a designer. Design commonly deals with problems, concerns and ideas that simply do not have a single "best" solution. When this quality is combine with our compulsion to worship the designed "artifact" it can prevent us from being effective designers. An artifact is a fixed point in time and space and it's very hard to let go of the idea that that object should be a perfect "best" solution to a design exploration. Because it is fixed that means that as a designer you will always be generating artifacts that will very likely be replaced by something that better suits new contexts. It's a painful reality. I find that I can get past this by viewing my work as little experiments or small mutations. It's quite fun to design with this mind-set — trying new things and seeing how people react. You have to have an elastic ego to approach design in this way. First your ego must be quite huge to be able to come up with a design to begin with. You are saying "look at me... here is something that I made... it came out of my brain... isn't it interesting?!" Then once it's out there you have to let go and be willing to receive all kinds of feedback. You have to let go and move on to other designs or in many cases re-designing the same thing or some aspect of the same thing... over... and over again. It's all little experiments and mutations to me. So, if it strikes the fancy of other people that's awesome. But, if not then I try something new or different. 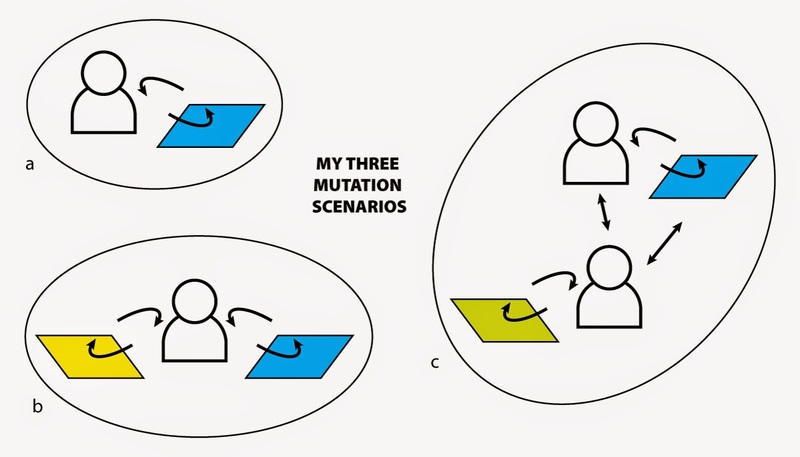 When I change a design, whether it's my own or whether I am riffing off of someone else's work it helps to think in terms of small mutations. I design things or make changes to some thing or some idea and I understand that this thing I am designing is not the beginning or some revolutionary new thing and neither is it the end to some long journey. The design that I create — it is in the middle of an on-going process. There are things that came before and there are things that will evolve out of this thing. When I see someone else take an idea of mine and do something new with it I rejoice. I want other designers to "steal" my ideas and do something different with them. That is the evolutionary process. Yes I have my obsessions and these drive most of my work. I suspect that most designers are pretty obsessive. To keep bouncing back and designing and redesigning over and over again one has to be obsessive and yes have that elastic ego. The ideas from my previous post continue to weigh on my mind. Over the weekend I thought quite a bit about knowing people through their designs. It occurred to me that there may be some subtle but important differences between "knowing-about" and "knowing" a designer through their designs. Part of this stems from a conversation I had with a designer about a year ago. This designer mentioned that when they run playtests for their games it is less about testing whether or not mechanisms work and more an effort to understand the experience that that players have as they play their game. This designer said that "mechanisms" can be tested mathematically but "experience" must be observed during gameplay. I think that this is a very interesting point and it hints at the difference between knowing and knowing-about a designer through their games. In my last post I outlined an example using the games of Stefan Feld. In that example I feel like I explored ideas that reflect more a "knowing-about" than a "knowing" model. "Knowing-about" seems to me a more quantitative approach. We can study the game as a mathematical model or as a system. For example we can read the rules for a game, analyzing the mechanisms, the system, the theme and on a basic level the components of the game. These characteristics and others can be learned without ever playing the game. This way of studying a game may provide us a way of "knowing-about" the designer. I propose that the likelihood of being able to "know" the designer through their design increases greatly is we actually play the game with other people (assuming it's not a solo game). An example of this might be a game that includes a bluffing of a hidden information element. These characteristics might be very hard to understand by just reading the rules or studying the game system. But, really I believe that most games have these types of characteristics. This would include a player trying to guess what his competitors might be planning to do on future turns. I try to teach my students this all the time — the users/players are an integral part of the system. So, understanding the system simply by a study of the rules, the theme or the components does not provide a clear understanding of the complete system. This is in part why the designer I mentioned earlier was so passionate about playtesting. And this is why in part I suspect that "knowing-about" happens through a study of the mechanisms and "knowing" happens more deeply through playing a design. It is only when we very literally include the humans in a study of HCI-D that we are able to even begin to have a deep understanding of a design and by extension the designer. Testing, observing and analyzing the concepts of a game design through playing the game with other humans exposes the emotions and subtle human-human, human-game and human-game-human interactions that the designer may have intended for the users. I have had a particular phrase on my mind for a while now — "by their fruits yea shall know them." It's a phrase that is somewhat ancient in origins and shows up in a few books that many people cite as religious scripture. But, my recent interest in the phrase is not religious in nature. I am interested in this idea — that you can know someone by experiencing the things that they design. I'm not entirely convince that this is possible but the idea intrigues me. It is one of a handful of concepts that lie near the core of the research that I am interested in doing (and/or that I have been doing). I just had never really thought of it in these exact terms. The phrase (as I am familiar with it) is so interesting to me because of the many things that it does not say. It does not say — by their fruits you shall recognize or be reminded of or have hints about them. It says by their fruits yea shall know them. I accept it's possible that I am interpreting the phase wrong. It may well be in this case that "know" is equal to "recognize." But, even so, this idea that you can know someone by the things that they create has stuck in my mind. If it's true then what? I like examples. So, I will outline one here. 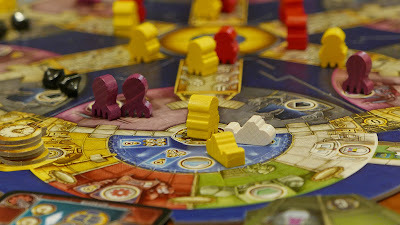 Let's look at the board games of Stefan Feld. 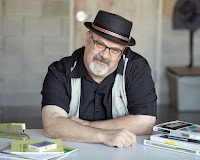 He has designed many games that I have played and he is often cited as ... that guy who makes "point salad" games. In these games there are many, many ways to score points (i.e. the point salad). 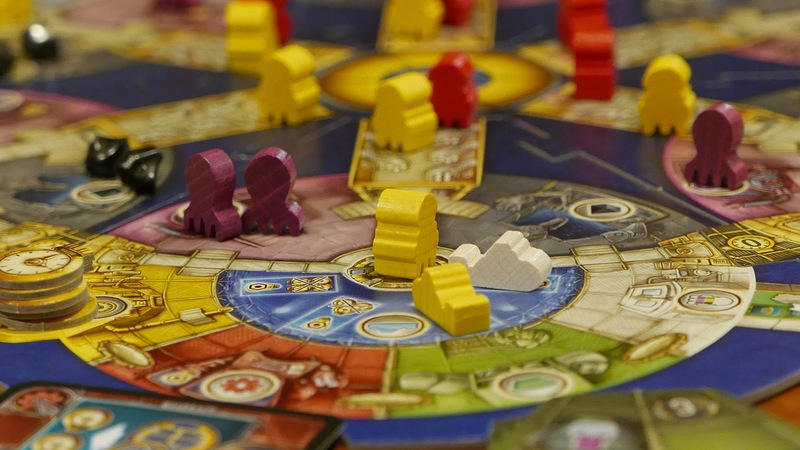 Usually, winning a game designed by Feld requires that you focus heavily on two or three of these point scoring mechanisms without entirely neglecting the other scoring mechanisms. 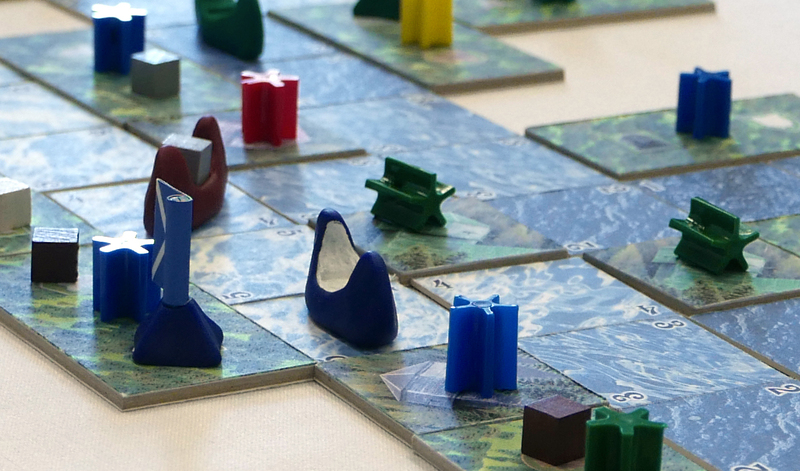 Most Feld games also include a pervasive punishment for neglecting very specific mechanisms. These are design qualities or characteristics that I have become familiar with through playing his games or experiencing his designs. So, what can I know about Stefan Feld by playing his games? Perhaps he is a person who believes or likes the idea that... in the things that we do there are many ways to succeed - and - that success will most likely be found in focusing heavily on a few things. In addition to this it is important to not forget that there are some things that cannot be ignored or we will be punished in some way. I'm not sure that Feld believes these things. If my perception is false then that too seems important. It's quite possible that these things have little to do with life habits and that he simply likes games that provide these types of an experience. But, even if that is the case then it seems that I learn something about him by experiencing his designs. The big question remains — can I begin to really know him by playing, experiencing or studying his games? It seems the answer in some way, shape, form or degree must be yes. I would be interested to hear what other people think about this. I do believe that it's not possible to know someone with 100% accuracy or entirety through their designs. Firstly because there is just too much to know about another human being. Secondly because in the process of transferring ideas from one persons mind to an artifact (i.e. design) and then from that artifact back into another person's mind there will always be mistakes in the copying process (i.e. mutation). And thirdly because people are constantly changing — I'm not the same designer/person today that I was in the past. What is the upshot of all this? I'm not sure I know. But, it interests me deeply. "User" focused? Perhaps a Bad Idea. For the past decade or so there has been a trend in design centric work towards titles that include ..."user"... user-research, user-centered, user-experience, etc. I am guilty of thinking in these terms myself. You may ask what is wrong with these ways of thinking and in some cases I think it's just fine. But, what keeps eating at me is the word itself — "user." It implies a very utility based concept of what a design is or should be. The design becomes a thing to be used — a tool. 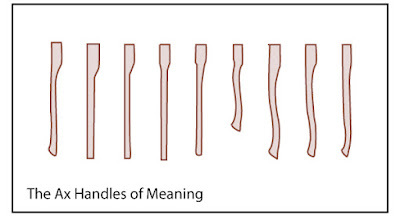 This again is fine provided you have a very broad definition of what a tool is. And that works for me. But I fear that few people hold that broad definition. "Use" is largely singular in it's direction. "Use" based design focuses on artifacts that are acted upon or used to act upon other objectives. What happens to "meaning" when "use" becomes the priority. Humans are meaning making machines. So, when we design for use rather than meaning we forget that the artifact acts upon us whether we intend it to or not. Whether we like it or not designed artifacts change us. They mean something to us. They force meaning upon us and we have no choice in the matter because we are genetically programed to draw meaning from everything we experience. Let's look at a very simple example — say a shovel... a sheet of metal strapped to the end of a stick that is used to move dirt. A poorly designed shovel sends a message to the person who will use it. Perhaps the meaning of such an artifact could be... "we don't really care... just do your job" or "hey we've got your money now and what did you expect... it's a SHOVEL!" If we understand that meaning will be drawn from everything we design then the way that we design shifts. "Use" is still there and as important as ever but a design then is not just about efficiency or utility. Look closely at the wooden spoon pictured at the top of this post. There is meaning to be drawn from that spoon. It's shape, it's color, etc. means something. It will mean something different to different people. The person who will use it may not draw some deep profound meaning from it. But, there will be some kind of meaning drawn from the experience of using it. The tide of "use" in design is too strong I think to change things now. And that worries me... a LOT! I would like to make a plea for — "Meaning-Centered Design." "The Birth of the User"
I am a designer-researcher-teacher-anthropologist. How's that for a hyhpenated career title? Lately I've been thinking of myself as a design anthropologist and I feel that's an apt title for who I am becoming career-wise. I should be working on various research papers right now but here I am blogging. I had one of those ideas today that seems too interesting to not write a little about. So, here I am. In my research I have turned to the study of board game designers. These people are awesome! In parallel to this I have been studying anthropology, it's methods, theories and history rather heavily for the past year or so. And it occurred to me today that board game designers might be wise to see themselves as cultural anthropologist. Weird right? Well, maybe not so weird as you'd like to think. At the core of most cultural anthropology is a method catagory called "participant observation." This includes dozens of more specific methods but the foundational one is "fieldnotes" which can take the forms of "jotting," "sketching (in words)," "drawings," and many others. But the key idea here is that you spend time with the people you are interested in and take some form of notes describing events, ideas and whatever else strikes you as interesting or useful -- you participate, you observe and you take notes. What is this if not playtesting! Playtesting of course differs in some significant ways but my point here is that anthropological methods could be adapted to playtesting and perhaps yield some pretty interesting or even great results. If participant observation were more thoughtfully incorporated it could reveal tendancies in gameplay such as king-making, alpha-gamer issues, etc. It believe it has the potential to provide many other types of insights but I need to keep this short. Similar methods are used in various design disciplines. In user-experience and interaction design there is an emerging method called "participatory design." 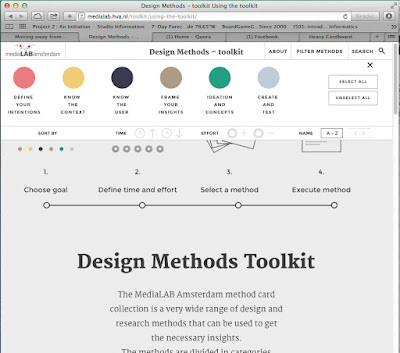 This method involves a design-researcher creating a set of tools or artifacts that they share with potential design users. 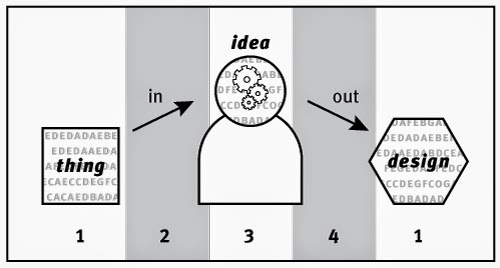 The researcher provides the users with some set of instructions and cuts them loose to play with the tools and ideas. The researcher takes notes, collects feedback from the users and analyses the session and its outcomes. All of this is then taken and applied on some way to generate or improve a design. Doesn't that sound a lot like playtesting? Bernard, H. R. (2011). Research methods in anthropology: Qualitative and quantitative approaches. Rowman Altamira. Emerson, R. M., Fretz, R. I., & Shaw, L. L. (2011). 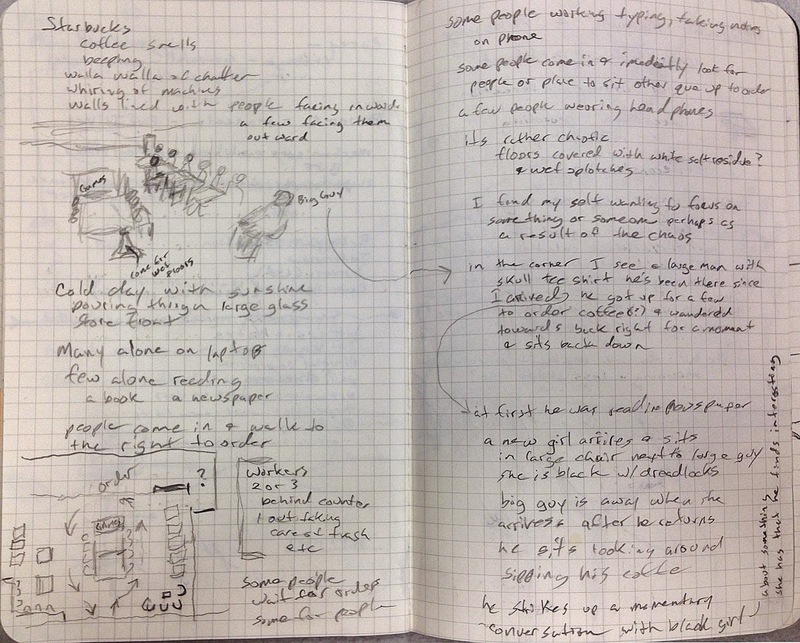 Writing ethnographic fieldnotes. University of Chicago Press. Sanders, E. B. N., & Stappers, P. J. (2012). Convivial toolbox: Generative research for the front end of design. BIS.